I hope all is well! I started a new job in January this year and have been very busy. It is very exciting and I am more than happy at the moment. In my new job I will travel some and I am planning to share that with you. A lot of fun seeing places and people! My first trip went to Sweden, that is where this company started up. I brought my youngest daughter with me, she is in second grade and I thought that she was ok to skip a week of school. 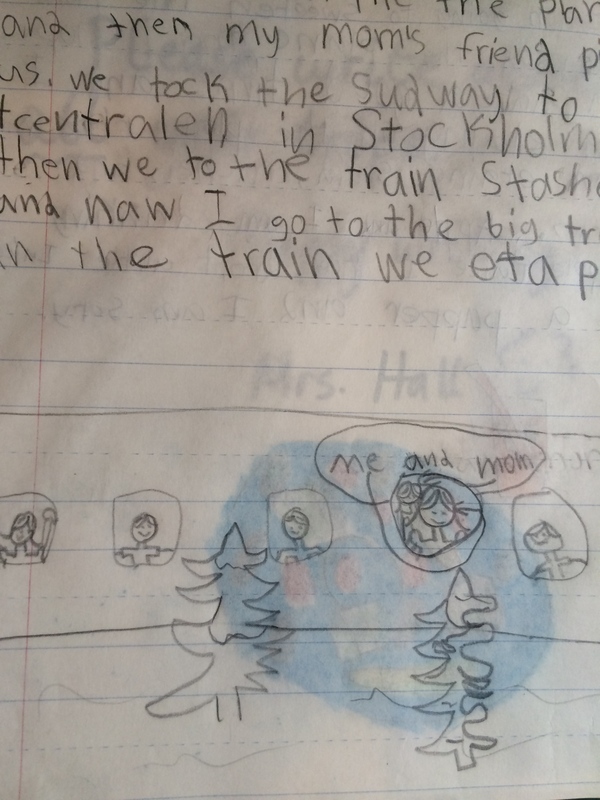 She received a journal from her teacher to write in, she did work during the trip and was very proud showing her teacher the work when she got back. We started our trip at Newark airport, I enjoy seeing all the Swedes there already figuring some of the hottest trends going on. In the lounge we are already in Sweden just a little bit, my daughter whispered to me that she heard several people speaking in Swedish. The lounge reflects Sweden in light colors and materials. 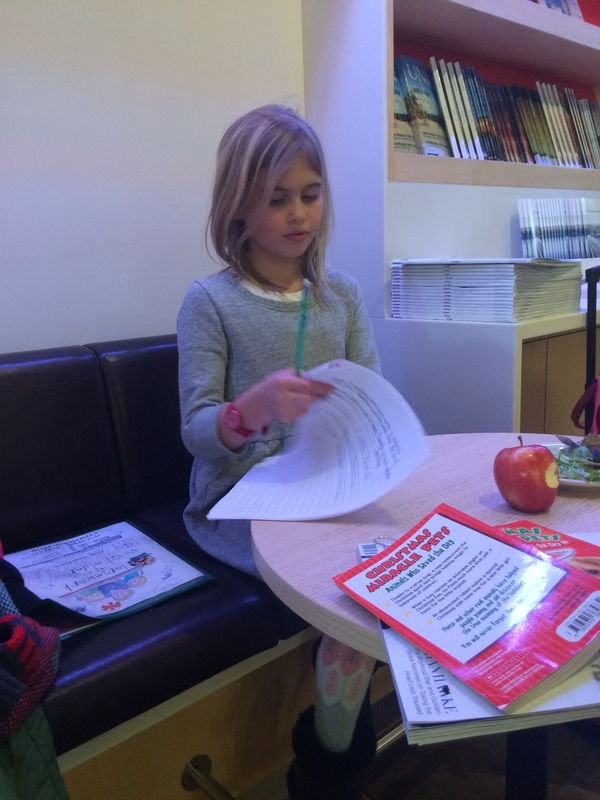 Working with her homework in the SAS lounge at Newark airport! Arriving to Sweden it is all in faded grey tones and new white snow, very pretty. My friend met with us at Arlanda to pick up a big bag of clothes from Lululemon, Abercrombie and also some items from Jonathan Adler that she had sent home to us. We took the train from Stockholm Central station to Nyköping and my mother met up with us. 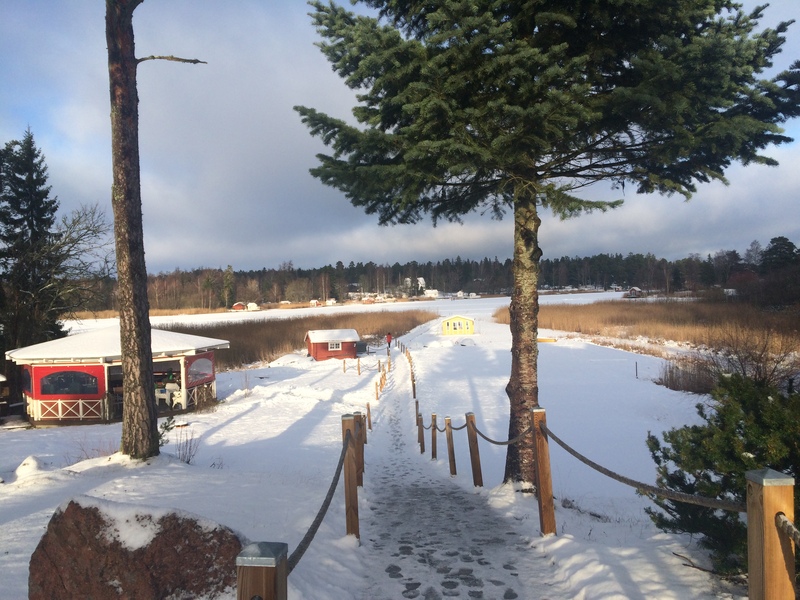 We had a very nice weekend meeting most of my family, so great!!! I left my daughter in Nyköping at my mothers house on Sunday evening and my big brother drove me to my friend in Stockholm, on Vikingagatan. She and her family have a stunning apartment there! 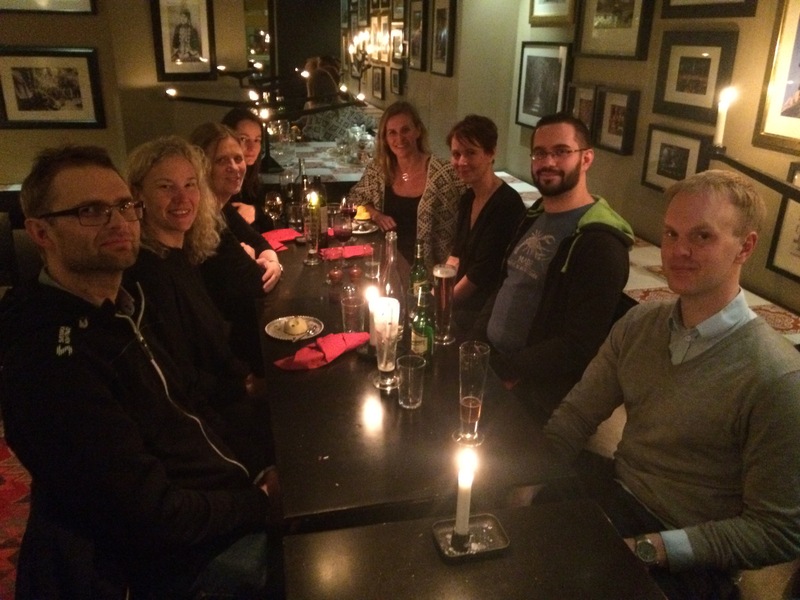 I was back in Stockholm for a girls dinner (incl. two brothers and a friend), at a middle eastern restaurant Theran Grill. Great evening with the greatest company, good food and wine. Well, back again in the U.S. and so thankful for having my family and also for this new job that has the bonus of connecting me to my home country. Oh, almost forgot, Swedens Charlotte Kalla took a gold medal in 10km sprint and the U.S. got the silver and brons… Good day!